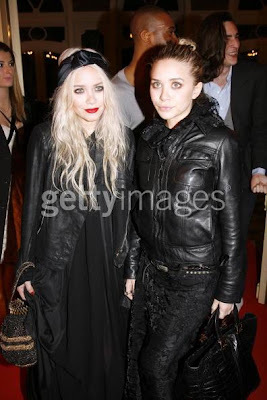 The Olsen Sluts are literally the walking dead. And how comes they can never stand up straight? They always are hunched over and look like they’re malnourished. Oh yeah, and homeless. Mary-Michelle-Kate-Ashley-Tanner-Olsen was out and about at Paris Fashion week (The Valli Party) and clearly were going trick-or-treating directly after the party. 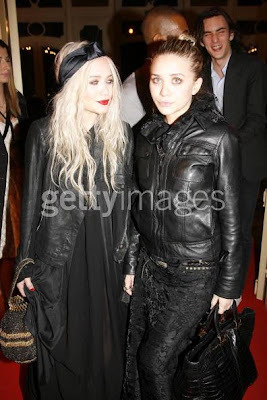 By the way, I never really understand “Fashion Week.” There’s no way it’s just for one week because it seems like I spot an Olsen at one of these things 52 times a year. Wait, is that their job? Maybe they’re kinda like “the groundhog.” If an Olsen sees their ribcage through their shirt we all end up with six more weeks of winter. Fingers crossed!